Kaizen Ryu Karate is taught in a traditional way with our focus being more on personal improvement before excellence in the competitive arena. The club is set up to cater for all ages from five years of age and up. 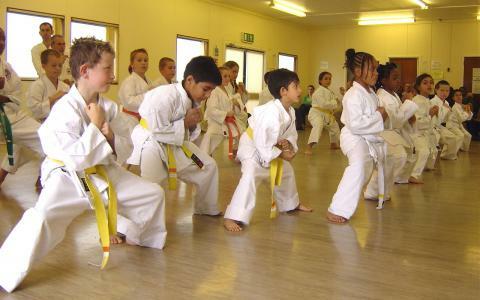 The tradition of karate is that the more experienced practitoners pass on their skills and knowledge to new students. It is important to us to have a friendly family environment in which all grades can train and learn from each other in safety. Our main areas of attention are in a good foundation and the understanding and effectiveness of technique. We achieve this on the most basic level through a strong emphasis on kihon (basics) and kata with its applications (bunkai). See a list of the Japanese phrases used in the dojo.